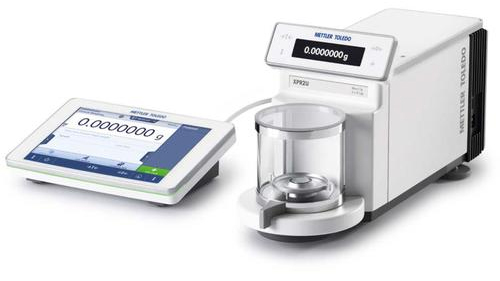 METTLER TOLEDO’s new XPR microbalances incorporate a range of innovative new technologies to deliver the highest accuracy in their class and to help make your micro-weighing tasks simpler, safer and more secure. With precious samples available only in the smallest quantities, you need to get your analyses right first time to avoid wasting material, money and time. Industry-wide standards, such as those from the US Pharmacopeia or Euramet, put extra pressure on laboratories to deliver traceable and compliant results. Thanks to unique design features, XPR balances deliver unmatched accuracy. In addition, built-in active quality assurance functions give you the peace of mind that your results are valid and meet all your requirements. With fully traceable, valid results you can be sure of satisfying your auditors too. Accuracy is the cornerstone of your success - Even under challenging weighing conditions, XPR microbalances deliver a unique level of precision with exceptionally low minimum weights. The XPR6UD5 offers 0.5 ìg readability with repeatability improved by 25%. Patented cooling delivers top performance - Heat from the electronics at the back of the XPR is removed via the patented Active Temperature Control (ATC™) system. The resulting increase in temperature stability enables the XPR to deliver an outstanding level of weighing performance. Tolerance Profiles ensure traceable results - By setting up Tolerance Profiles you can ensure weighing tasks meet defined quality requirements and regulations. In addition, as the same profile is used each time a specific task is carried out, you can be sure of consistent settings to guarantee traceable results. The GWP Approved function actively monitors the balance status and ensures you always weigh within the safe weighing range. The on-screen icon is your reassurance of accurate, reproducible results. Ask us to activate GWP Approved in your balance. Around half of all microbalances are used to weigh out toxic or potentially hazardous substances, including active pharmaceutical ingredients. User safety guidelines demand that such applications take place in a protected environment, presenting further challenges for microbalance users. Now, you can save space in your safety cabinet thanks to the XPR’s compact footprint and a main terminal which can be placed away from the balance. Simply setup your task using the modern capacitive touchscreen on the main terminal and carry it out using the basic functions on the smaller SmartView terminal. Sensors reduce cross-contamination risk - SmartSens infrared sensors enable you to operate the draft shield doors with the wave of a hand. 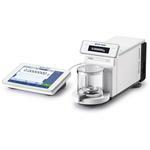 This touch-free balance operation reduces the risk of crosscontamination. 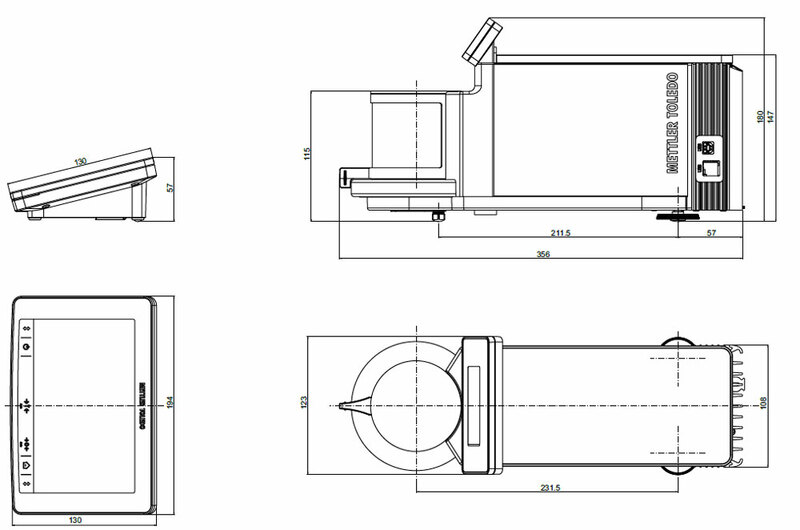 New design concept makes cleaning easy - The newly designed draft shield provides easy access to the weighing pan. There are no edges and corners where sample material could become trapped. All parts can be removed, cleaned and replaced in a few simple steps. Business demands for high sample throughput, as well as accurate and reliable results to deliver to customers, place increasing pressure on microbalance users. XPR balances can support you to complete your tasks efficiently without compromising on accuracy or safety. Results notepad simplifies documentation - As you carry out your tasks, all parameters are automatically recorded on the built-in results notepad. You can choose a simple or expanded list and even add your own comments. Simply transfer to a PC or print it out to complete your documentation. Method library ensures consistent processes - To ensure consistent processes, store regularly used task methods in your own method library. Simply touch the method name to access all the details and then start the method. Also suitable for methods which include several samples or a test series. You no longer need to record results by hand or spend time typing-in data. Simply transfer task parameters and results to a PC or software application via USB. Transcription errors are completely eliminated and the integrity of your data is preserved.